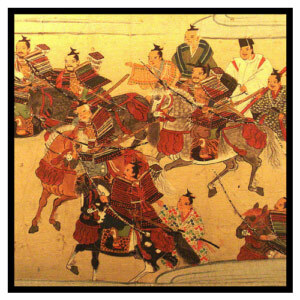 In the noble and mysterious world of ancient Japan, there are 5 Important Periods of Samurai Armor Genealogy. This is a basic overview for the beginning enthusiast who wants to dip his toe in the deep pond of Japanese Samurai Armor. We will go into greater detail and begin to form a more detailed picture for collectors and hobbyists. Our goal is to help readers gain a greater appreciation for the history which has gone into the creation of our armor while also creating a context for the different styles we offer. Limited historical evidence. Later archaeological finds from the Edo and Meiji Period, are in much better shape than what we have from the Heian Era. Much of what we know today about samurai armor is re-translated texts and books that are constantly being re-written. Things change over time. The many samurai armor pieces in museums and collections have some mixed and matched parts and very likely been altered in one form or another over the centuries. During the Edo period many armor parts where altered to meet modern fashions and later restoration work likely altered them yet again. So it is rare to find a gusoku (full matching samurai armor set) unaltered from the Sengoku Era. Conflicts of Bushido Code. In Hollywood and storytelling, ideals and values are often romanticized and exaggerated. This is what captures our imaginations and causes us to fall in love with the culture. The reality is often much more complex because we are, after all, human. Our discussion here, will give you the fast and dirty overview of Samurai Armor Genealogy, while taking into account the previous points we discussed. Tosei: A modern armor set evolved from ~1540, post-European influence. Gendai: Any armor item produced after 1868. 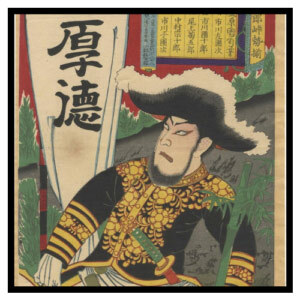 For more relevant Samurai terms see our Glossary page. This early era was characterized by the “lamellar” style. It was a basic and essentially weak armor style which was backed up by a strict and traditional moral code. In this era, landlords fought each other one-on-one in situations based on neighborly conflicts, offense and desire for riches, power etc. Much of the attack styles relied on a lord arriving on horseback with retainers who carried his armor and came to his assistance as needed or able. 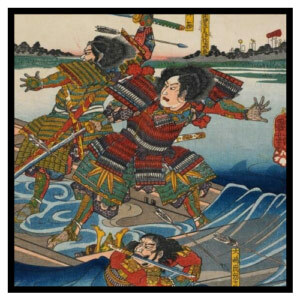 As the Muromachi period came into force, there were distinct changes in the way the Samurai fought. At this point they had suffered some tremendous defeats at the hands of the Mongols and began to change tactics. Also, the warlords had more foot soldiers to do their bidding and avoided confrontations a bit more than in the Heian period. This era, also known as Warring States, was brutal and full of social upheaval. The armor reflects this as it becomes much more simple with darker colors and more focused on functionality over appearance. Towards the end of this period there was more interaction with Europe and the influence is reflected by some of the newer combat styles and armor types. Along with these new combat styles and armor types, the costs are diminished by better technology and a faster production process. Instead of scales, bigger plating designs came into play which mimicked “kozane” armor designs. It was faster, more economical and easier to make, but less flexible. 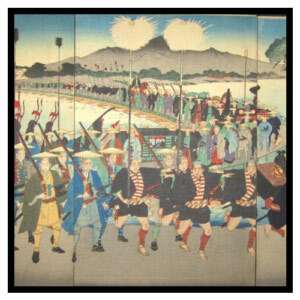 As the Sengoku period came to an end, so did much of the upheaval. This era is marked by an explosion of art, culture and literature. As a result of the peacefulness of this period, Daimyo and Samurai warriors now spent less on military campaigns, and more on embellishment of their swords and armor. This resulted in armor that was functional for military actions, but more ceremonial and ornate in nature. During this period chainmail and defensive armor also came into play. They could be hidden or designed to look like a normal part of their clothing, like kusari, tatami or kikko plating. The rise of the Japanese Empire characterized the Meiji Period. This armor style is called “Gendi.” It was less focused on complexity and involved more modern materials, paints and styles which by now had been incorporated from European styles. Armor of this period may look like a molded body cover with a coating of coconut husks and/or leather, then covered with a type of resin for eye appeal, prevent rusting, protect it from weather and to hold it all together. This period is the final end of the samurai. Due to the European influence and culture, the idea of a strong central government took precedence over the regional leaders which characterized the samurai tradition. To break the power of the samurai they were abolished and their culture became a romance of the Kobuki theater and woodblock printing. As ancient traditions were lost, and the Bushido code became romanticized, so did the art of crafting the armor of the samurai. This is why we work with crafters worldwide in the study and preservation of this art which is quickly fading into obscurity. 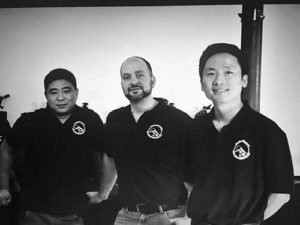 Iron Mountain Armory is doing its best to learn, develop and uphold these ancient traditions while crafting historically accurate and economical Gendai reproduction samurai armor. As we learn we will continue to improve. Now that you know the basic history of each period you can choose the armor which you feel is right for you and your interests. Armor made by Iron Mountain Armory is made with laminated plating based on original period designs and styles. It is designed to flex and absorb impacts without breaking while allowing for climbing, running and even subtle movement. We can even offer equipment which is guaranteed to stand up to mock-play, budo training, heavy hits or even full warfare depending on cost and style. For more information about the durability and strength of our armor, take a look at the following video where we put our gear to the ultimate test! Disclaimer: We always try to show pictures and describe our products in terms which are most generally accepted by the academic community. 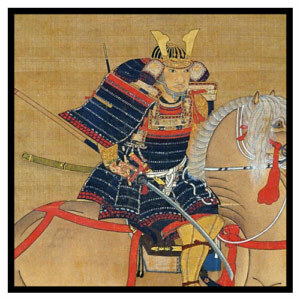 This entry was posted by Erin in History of Samurai Armor and tagged Samurai Armor Genealogy.